The sponsors of the Euro 2016 football tournament in France are in most cases the usual suspects, including Adidas, Coca-Cola, McDonald’s and Orange. One unfamiliar name to many people however is Hisense, a Chinese manufacturer of electronic goods, in particular televisions. Hisense might be competing with the big name brands in some markets, but it is not noted as a leader in combating forced labour. Australian project Behind the Barcode, in a February 2016 report on exploitation and slavery in the electronics sector, gave Hisense its bottom ranking: an F.
This might in great part have to do with the company’s lack of transparency. Hisense has no apparent codes of conduct or policies on labour standards, discloses no information on its supply chain and its approach to the living wage, collective bargaining or child labour is similarly unclear. The company did not respond to Innovation Forum’s request for comment either. Hisense might be at the bottom of the ranking, but no electronics company makes the top A grade. The best performers, according to Behind the Barcode, are brands such as Apple (ranked B+), Dell (B), HP (B), Panasonic (B-) and Samsung (B+). On average, Behind the Barcode gives a C- to the sector. The electronics sector is at risk for a number of reasons. Its products are commonly assembled in countries where there may be little transparency over supplier practices. And components include minerals sourced from conflict zones or countries with governments that are too weak to do much about workplace exploitation. A new ICT Benchmark Findings Report from US partnership KnowTheChain reaches similar conclusions to Behind the Barcode. KnowTheChain reviewed the efforts of 20 companies to eradicate exploitation from their supply chains, and concluded that although there are “high levels of awareness of the risk of forced labour”, companies “must do far more to address the issue throughout corporate supply chains”. KnowTheChain also identifies HP and Apple as good performers that are taking steps to ensure workers have a voice, that recruitment policies are fair and that there is traceability and risk assessment throughout the supply chain to tackle issues such as conflict minerals. But most companies are lagging well behind the leaders. It is worth noting that the benchmarking included companies that own their primary manufacturing facilities as well as those that do not; the supply chains in question may therefore be radically different. So what needs to be done? Certainly, sector commentators agree that we’re a long way from seeing real impact at scale. In many respects, the electronics industry has really only started to make a concerted effort to eradicate worker exploitation from supply chains in the past few years, prompted by the United Nations Guiding Principles on Business and Human Rights, which were endorsed in 2011. A good first step is to recognise that there really isn’t a quick fix. Companies need to adopt policies that clearly set out their commitment to eradicating abuses, but these must be backed up with a robust implementation processes, which can take time to put in place, industry experts say. The expectation from NGO activists and others keeping a close eye on the sector are that companies should learn from other sectors and take an honest look at the impact of their purchasing. And then focus on the risks that can arise for workers and for sustainability of supply. There has certainly been a temptation in the sector to pursue an “ignorance is bliss” approach – and so a change in direction will clearly reveal inconvenient facts that then need to be addressed by senior company management. Benchmarking reports such as the KnowTheChain survey can help companies understand what practices work best. Investors and consumers are increasingly demanding disclosure on these issues, and governments in some cases are making disclosure mandatory. For opaque companies such as Hisense, the road ahead is clear: publish your policies, and then show, in a fully transparent manner, what is being done to deliver on them. To do otherwise is just an own goal. 17th October, Washington DCThis one-day interactive conference will provide a focused and candid discussion on how business can tackle modern day slavery, forced labour and human trafficking. 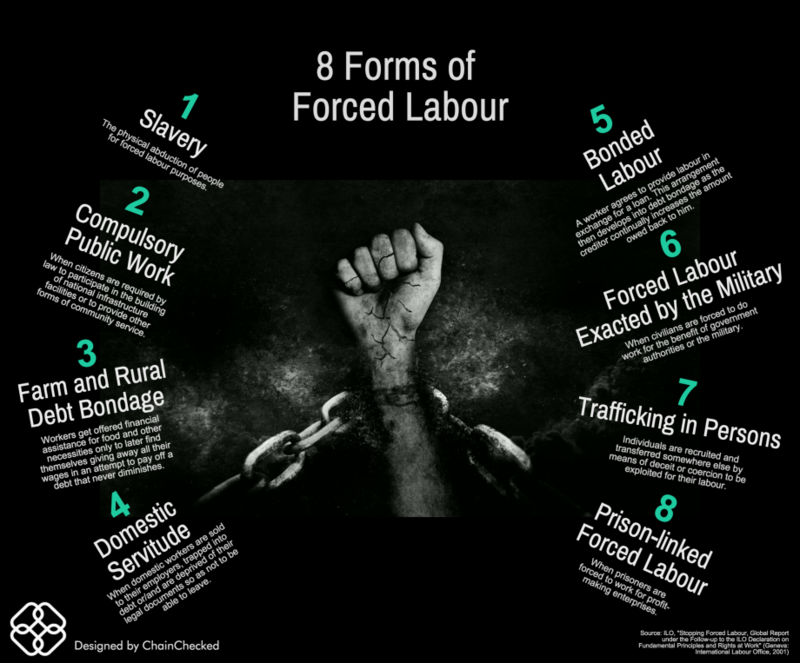 The forum will focus on guidance to proactively mitigate the risk of modern slavery taking place in operations and supply chains, and how to effectively respond to discovered cases of slavery. For details of all events from Innovation Forum see here.